While floral will always be a safe choice for spring clothing, the runways were full of more daring and fresh choices for your spring wardrobe. From neon colors and leggings, to cardigans and crochet, there’s a trend for everyone this season. Matching your top to your shoes to your purse is in this season! Getting dressed in the morning has never been so easy. Simply choose clothing and accessories in the same color or pattern and you’ll be good to go. No more guessing if a top and pair of shoes work together! There’s nothing better than looking cute and being comfortable! 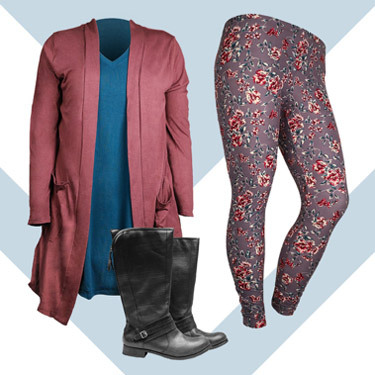 Leggings are a wardrobe staple that we’re loving and hope never go out of style. 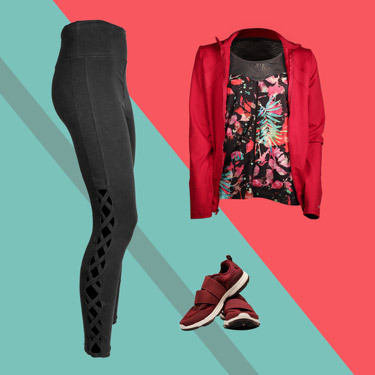 Go from an early morning workout to brunch with the girls by simply throwing on a sweater after the gym. It’s an effortless transition! Cardigans are an incredibly versatile item that can be dressed up or down depending on the occasion. They’re also the perfect item for spring when you’re in need of some easy layers. Long, short, solid colored or patterned, the options are truly endless. It’s a must-have item for the season! It’s 2019 and crochet has taken on a modern twist! Bright colors and bold patterns have revived crochet and the fabric is everywhere. Expect this trend to stay well through the summer, as nothing says warm weather and days spent outside more than crochet. We love Lamé for adding texture and intrigue to any outfit. This shiny material looks feminine and appealing in shades of pink, gold and blue. Wear this trend by pairing a Lamé crossbody bag with jeans and a jacket. While shopping the latest trends can be expensive, it doesn’t have to be. Peter Harris Clothes has everything you need for a spring wardrobe refresh at a price that won’t break the bank! What trend are you excited to see this season?